Your gifts multiplied in 2016! January is always a busy month for us; sending out tax receipts to supporters and 1099's & W2's to our missionaries makes for a stressful admin season. The fun part (for us) is helping our Ministry Partners put a budget together for the New Year, and creating a fundraising plan for how they will achieve that budget. We are glad to have these major tasks behind us, and we are now looking to new projects in 2017. Our dream is for our organization to still be around 100 years from now. Our aim is longevity! We recognize that this dream requires serious intentionality. We have begun to shift a few things around for our staff: working hard to become more efficient with each passing month, praying together more regularly, and working on staff development. One of the big things coming out of this new mindset is a survey we are putting together for our ministry partners: we want to know how well we are serving them, and in what specific areas our growth would be most valuable. We are excited to be growing and learning in these areas! 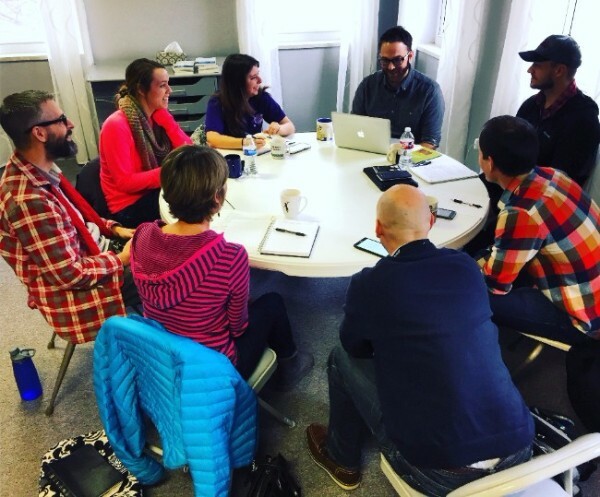 Jonathan hosted our first quarterly Ministry Partner fundraising training in January! The more Ministry Partners we add, the more we recognize the need to streamline more of our trainings (we used to do these training one on one). This group training was fun and seemed to be effective. We had 6 different ministry partners represented at this training. That will translate to hundreds of lives impacted by our ministry! Our next quarterly fundraising training will be in April. Please feel free to spread the word if you know anyone who would benefit from this training, we don’t require everyone who participates to be our Ministry Partner. The more ministries we can provide this service to, the better! We have a few organizations who have asked to team up with us (as always). We want to make wise decisions when allocating our finite hours. Pray for wisdom, and for stamina. Pray for Jarrod, our intern. Pray his start with us can be a good experience for all and helpful to our ministry partners. We're praying about what our response should be to the refugee crisis. We know of several great organizations that are caring for refugees and we desire to help.